Chet Baker was twenty-one when Charlie Parker discovered him and introduced him to such stars as Stan Getz and Gerry Mulligan. It was the beginning of a meteoric rise to fame. Within a year, his melancholy, seductively elegant trumpet solos and his silken voice had made him the epitome of 'West Coast cool jazz,' which expressed a whole generation’s attitude to life. Marked by drug addiction, several arrests and unsuccessful comeback attempts Chet Baker died at age fifty-nine in Amsterdam. 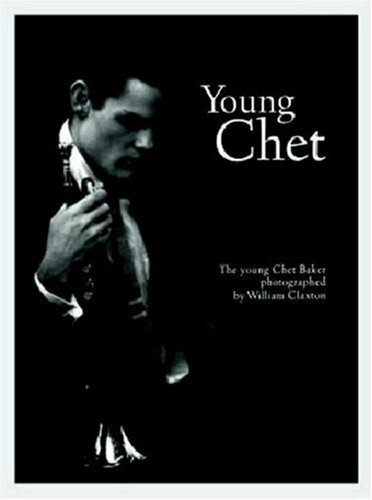 In images and reminiscences by jazz photographer William Claxton, this book provides a record of Chet Baker’s glorious early years, from 1952 to 1957, when he was still being called the 'James Dean of jazz.' Claxton accompanied the wonder boy of Californian jazz to concerts, performances, and studio sessions. His photographs show a dreamy, introverted Chet Baker whose charisma and appearance match the suggestiveness of his art.